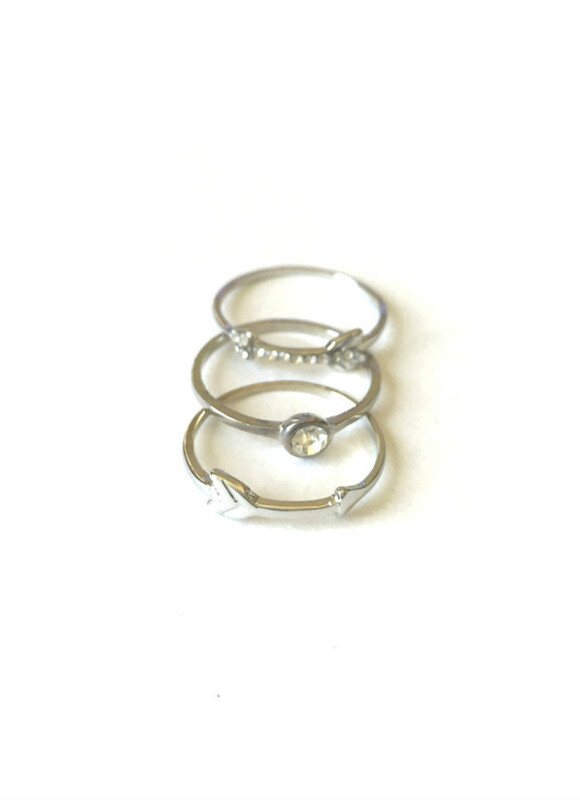 Tags: arrow, glass stone, stackable rings. 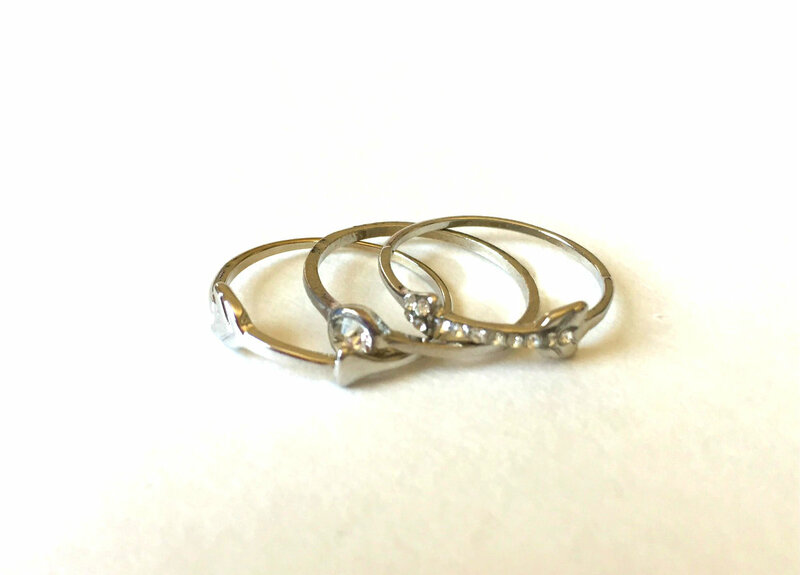 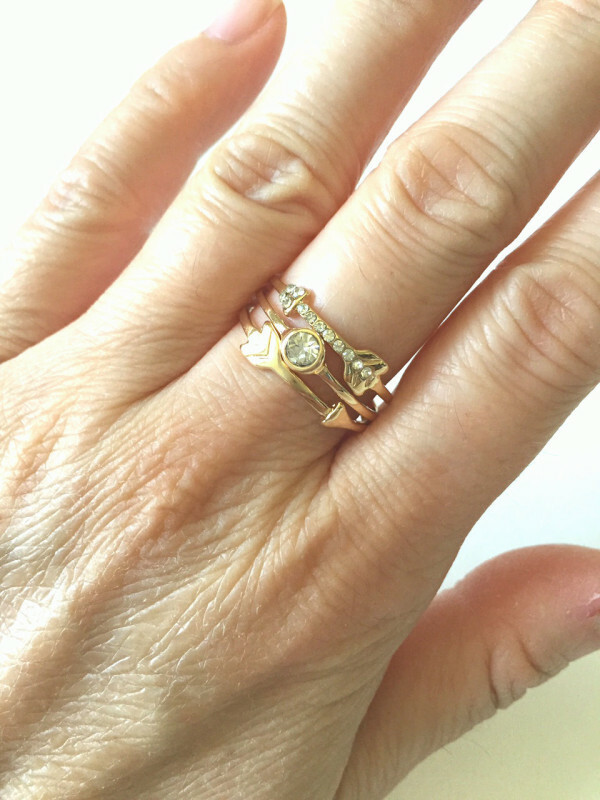 This stackable ring set gives off a fun and youthful vibe. 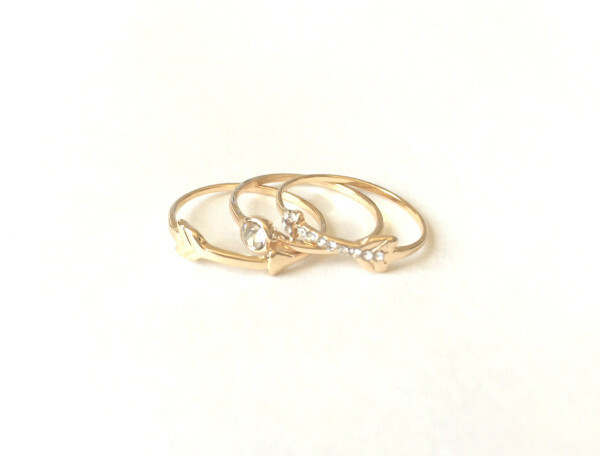 Three delicately crafted rings are included in an arrow motif and sparkly glass stones to give it some bling. Available in either gold or rhodium tone settings.